Kodi is one of the most popular media players mainly because of its versatility. With the help of Kodi addons, you can use the XBMC owned media player for streaming movies, music and even games. 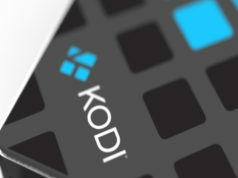 It is an open source software that is free to use, and with new Kodi repositories coming by the day, the versatility of Kodi is increasing. Considering the ever-increasing cost of cable TV, you can also watch live on Kodi without paying anything (here are some free TV show sites as well). 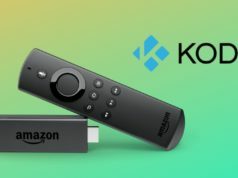 Kodi is a major reason behind the soaring trend of cord cutting as the software allows you to stream tv channels from around the world. There are many popular Kodi addons using which you can watch live TV on Kodi. However, these third-party addons are not reliable as the servers on which these are hosted are erratic. But, there are some good live tv addons for Kodi that are up and running most of the time. We have compiled a list of 10 best addons. At the time of writing, all the Kodi addons for live TV were working. If you are facing any issue while accessing through anyons, try after some time or mention the addon in the comment section. Before you jump to the list, have a look at the best Kodi addons that you must install to amplify your experience on Kodi in 2019.
cCloud stands for Community Cloud, and it is a community of people who are into streaming live tv online. You can stream all the popular channels from the UK and US with the help of this addon. It is a free IPTV that allows you to stream live content making it one of the best Kodi live tv addons. All the content is arranged according to the genre so that you don’t face any problem while browsing your favorite tv channel. There is a server section which shows you all the up and running servers to stream live tv on Kodi. 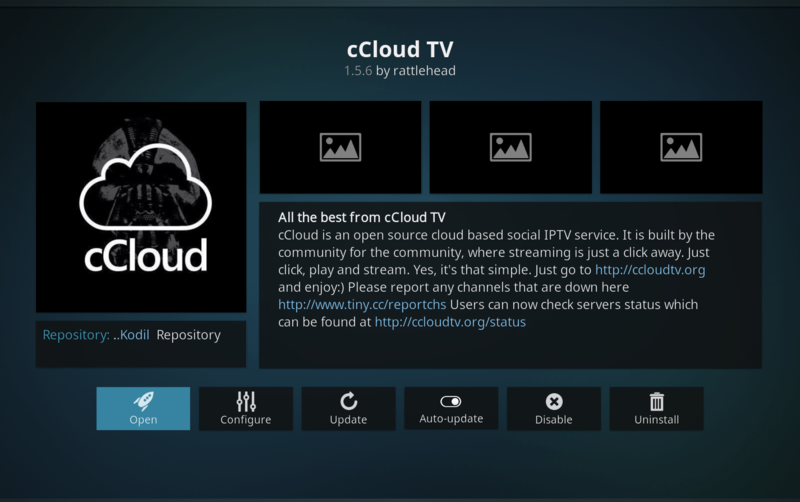 You can install cCloud TV from Kodil repository. Below is a link to the repository. 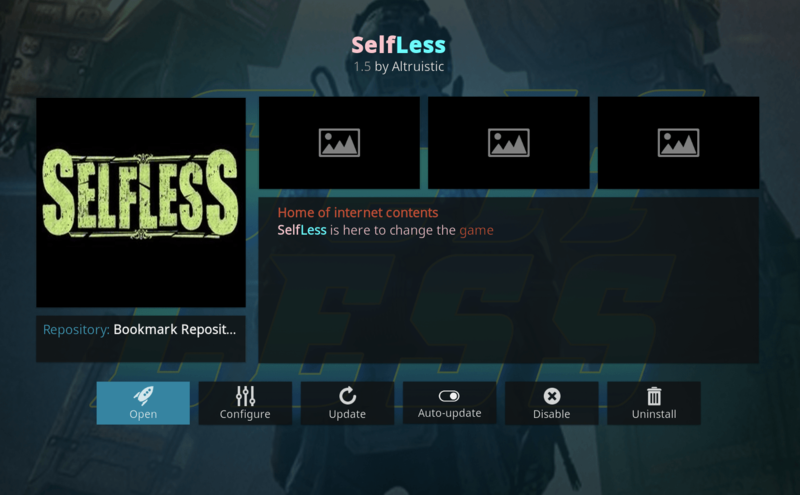 Selfless is a great addon if you are looking forward to streaming live tv on Kodi. There are several channels from all over the world in this third-party addon. The channels are categorized according to the genre, and in different genres, the channels are arranged alphabetically. Selfless is one of the most reliable option as most of the channels are working all the time. This live tv addon is available on Bookmark repo. Below, we have given a link to the repository from which you can install this addon on Kodi. If you are facing while streaming channels through the Selfless addon or if you are facing ‘Failed to install a dependency’ error then you need to install SportsDevil addon as well. 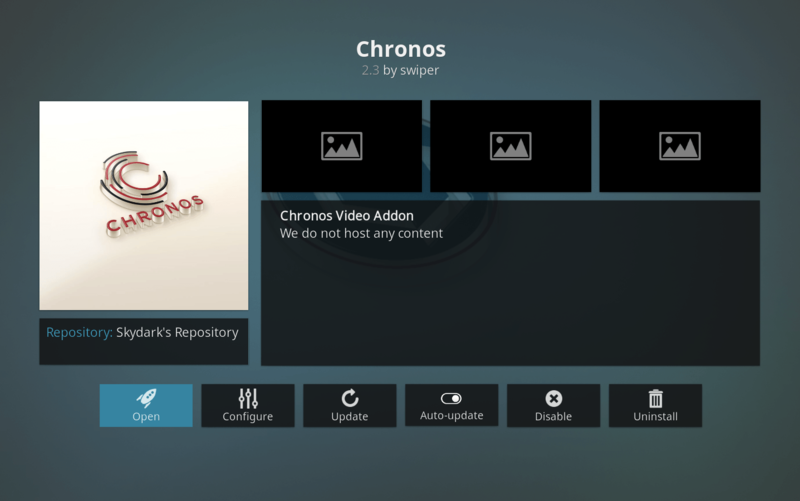 Chronos is another decent live TV Kodi addon for streaming live tv channels. The list of the channels hosted on Chronos is not as long as it is on other addons, but still, there are many channels from the US and UK that you can watch. You can watch news, cartoons, movies and tv shows with this Kodi addon. Installing the addon is easy as it takes just 2 to 3 minutes to complete the process. The reason why I have included Chronos addon in this list is that it allows you to watch live sports and also has on-demand content available. Chronos addon can be downloaded from SkyDarks repository. 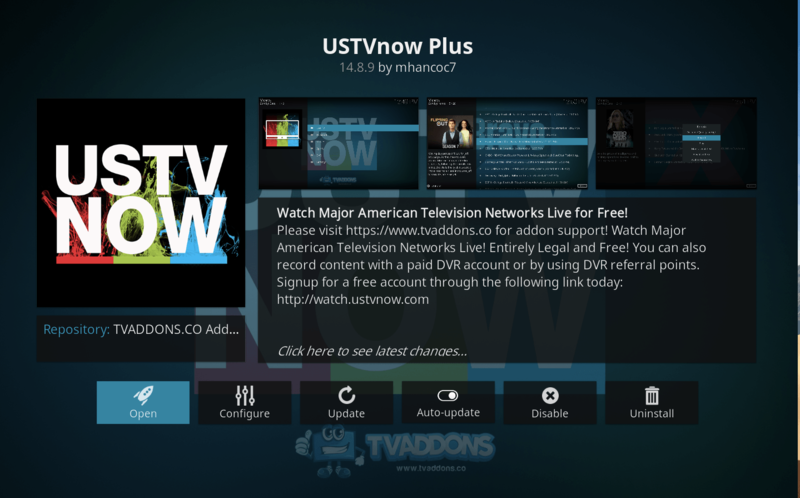 USTVNow Plus is a subscription-based streaming service allowing users to watch all the channels aired through American satellites. With the subscription, you can watch 28 channels including Fox News, History, ESPN, CBS, NB, etc. This is Internet Protocol Television (IPTV) service meant for American expats and military members. With the subscription, you get digital video recording feature as well. However, if you do not want to subscribe, you can still watch six free channels on USTVNow Plus. The addon is available on the official Kodi repository and can be downloaded with much ease from there. Wolf Pack is one of my favorite Kodi addons for streaming live TV channels of UK and US. Wolf Pack addon could help you watch sports channels, news channels, music channels, etc. easily. The collection is undeniably great and the fact that most of the channels are working almost all the time has compelled me to add Wolf Pack to this list of best Kodi addons for live tv. At the time of writing, I checked and found most of the channels were working including London Live, ABC News, and Drama. 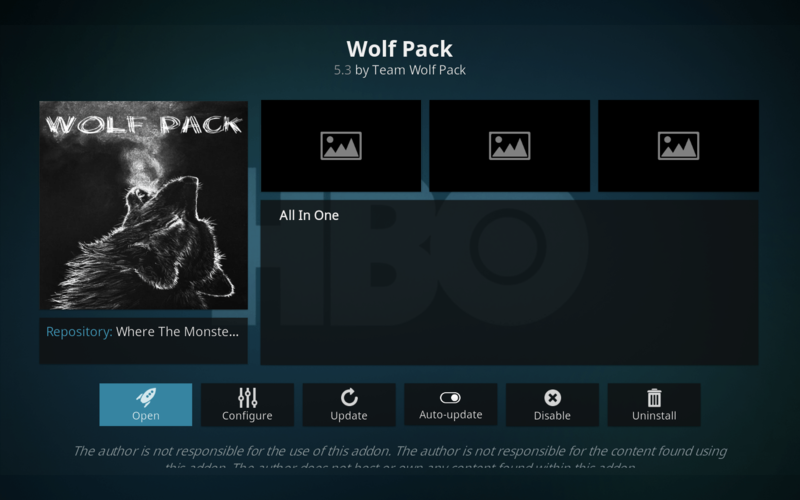 You can download the Wolf Pack Kodi addon from Midian repository. 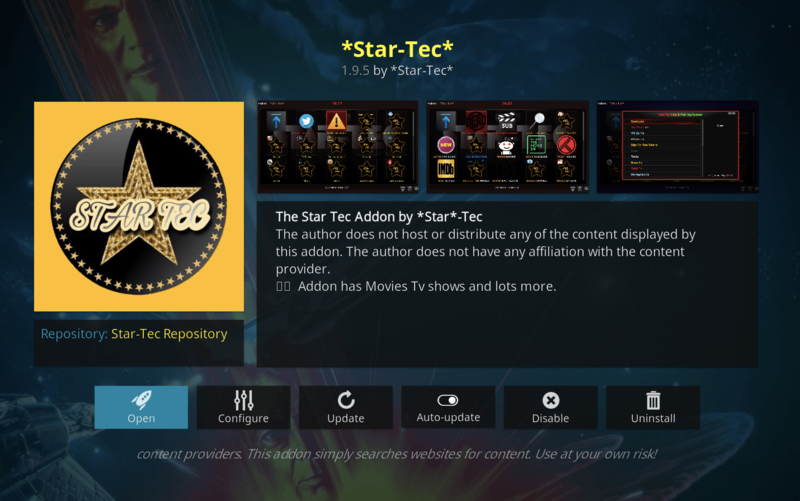 Star Tec is one of the complete Kodi addon with content spanning from music, movies, tv shows, documentaries, anime, live events, live tv and live concerts. What makes Star Tec better than other Kodi addons for live tv in this list is the fact that almost all the channels are working with this addon. Installing Star Tec is easy as the addon is available on Gentec Star-Tec repository which could be accessed from the below-given link. After installing the addon, you need to click on Star-Tec Live Tv to stream live channels from different parts of the world. If you are searching a Kodi addon that only not allows you to stream live tv on Kodi box but also gives you access to movies, music, and tv shows then your search ends at Atriox. 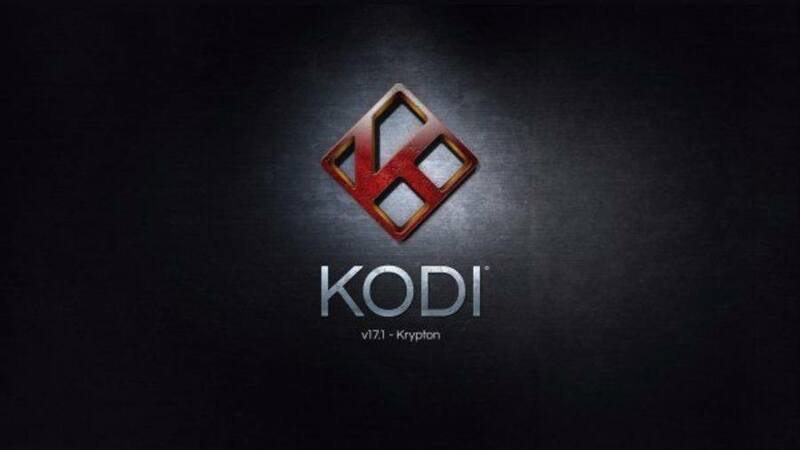 This Kodi addon has different sections such as 24 by 7 shows, box sets, western, thriller, romance and Live TV. At the time of writing, most of the channels were streaming without any lag and issue. 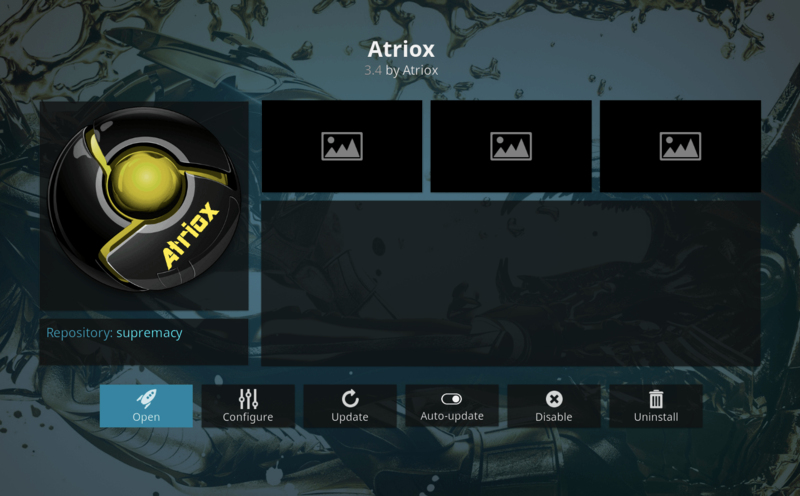 Atriox Kodi addon is available in Supremacy Kodi repositories. Here is a link to the repository so that you can install the addon easily. 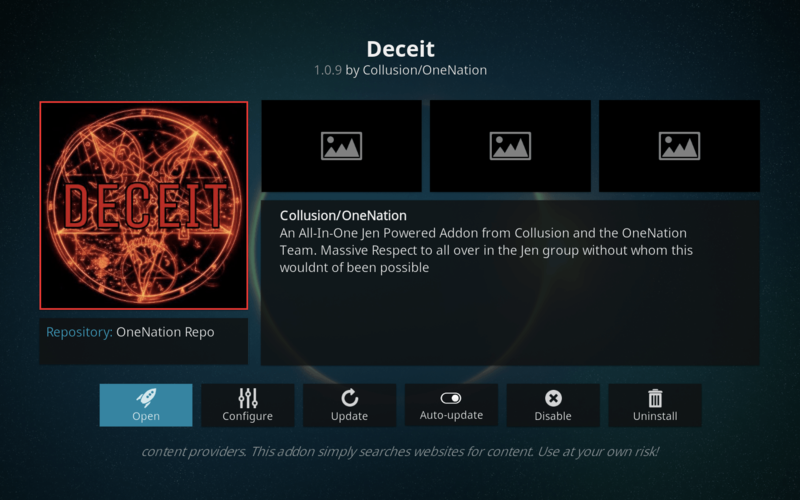 Deceit Kodi addon is one of the best Kodi addons for live tv channels. Apart from live TV, this Kodi addon also has different sections such as Movies, TV, Sports Streams, Listers, 24/7, Trakt, etc. Most of the channels are up and running. However, if you are facing ‘Failed to install a dependency’ error, then you need to install that particular dependency to stream channels and other content. You can also try wiping your Kodi box or software clean and begin from the scratch to stream content if you are facing any problem. If you want to watch the popular news channels of the United States, NewsOn Kodi addon must be your go to addon. The addon provides a list of all the states of the US and you can click on the state of your choice to see the live news stream available. Almost all the news channels were working at the time of testing. What I liked most about this Kodi addon is the neat segregation of states so that you can browse the news channels relevant to you. 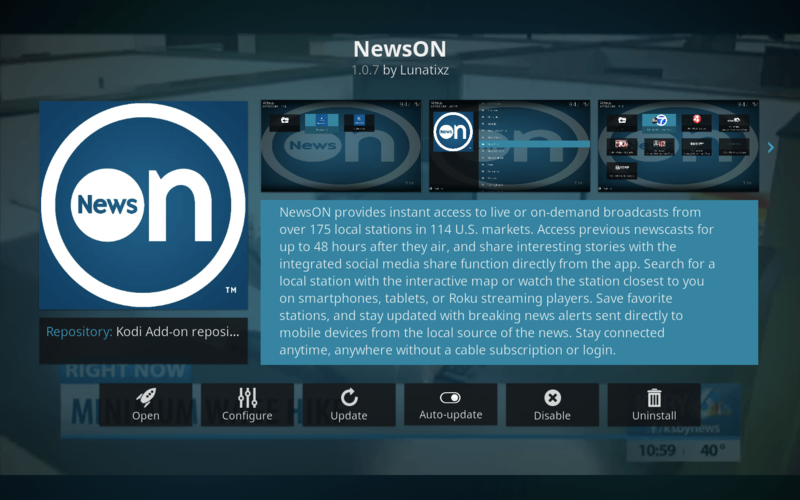 IT is one of the best Kodi addons for live news. You can download this Kodi addon from the official Kodi repository. 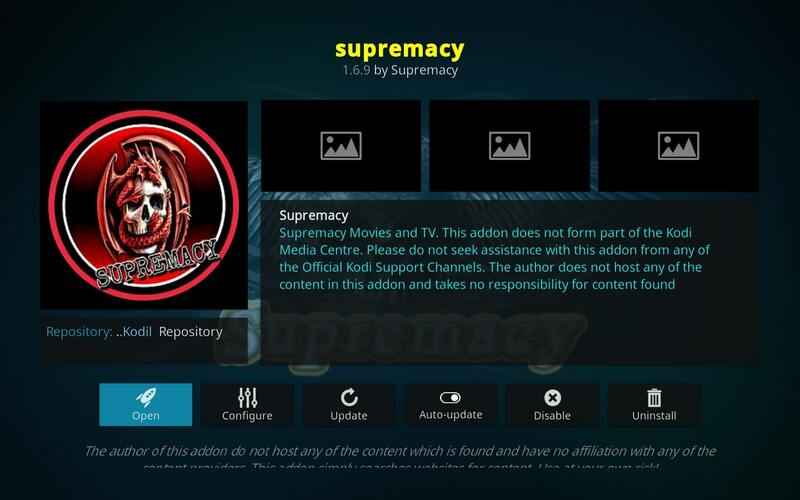 Supremacy is one of the oldest Kodi addons that has little it of everything including a collection of classic movies, tv shows, kid’s movies, Real Debrid movies, Christmas movies, and documentaries. The Live tv section of Supremacy Kodi addon works flawlessly. At the time of writing, major channels of UK, USA, and India were working flawlessly. What I liked most about this addon is the fact that Live Tv channels are categorized according to country and languages that make it easy for you to browse. We have curated this list of Kodi addons for live TV with much perseverance. Each addon has been tested to ensure that there are no broken links. Despite it, there are chances that some addons might not work for you at times because it all depends on the servers in the end. We hope that this list would help you in saving your money that would have gone to cable operator otherwise. 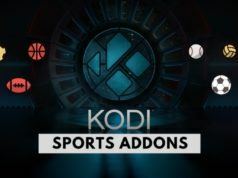 These Kodi live tv addons are a lifesaver if you want to stream sports events that are not aired in your geographical location. You might want to use VPN for it to save yourself from legal repercussions. 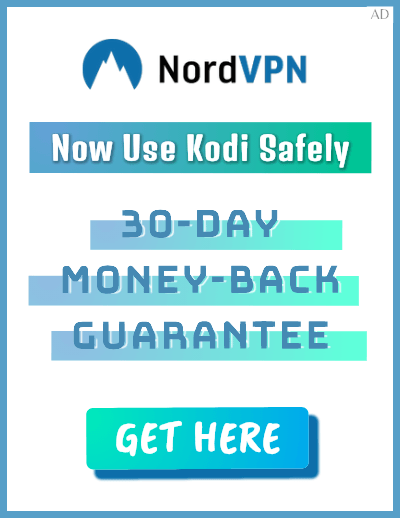 We recommended VPN services like Private Internet Access or NordVPN to keep your browsing private and hide your IP.